I just had to say a big thank you to Toni at A Bowl Full of Lemons for featuring my DIY Wire Laundry Baskets this week. Laundry. Everyone has it, nobody loves it. But, that doesn’t mean it has to be something to dread every week. There are little sweet details that can be added to help make the task a bit more enjoyable. 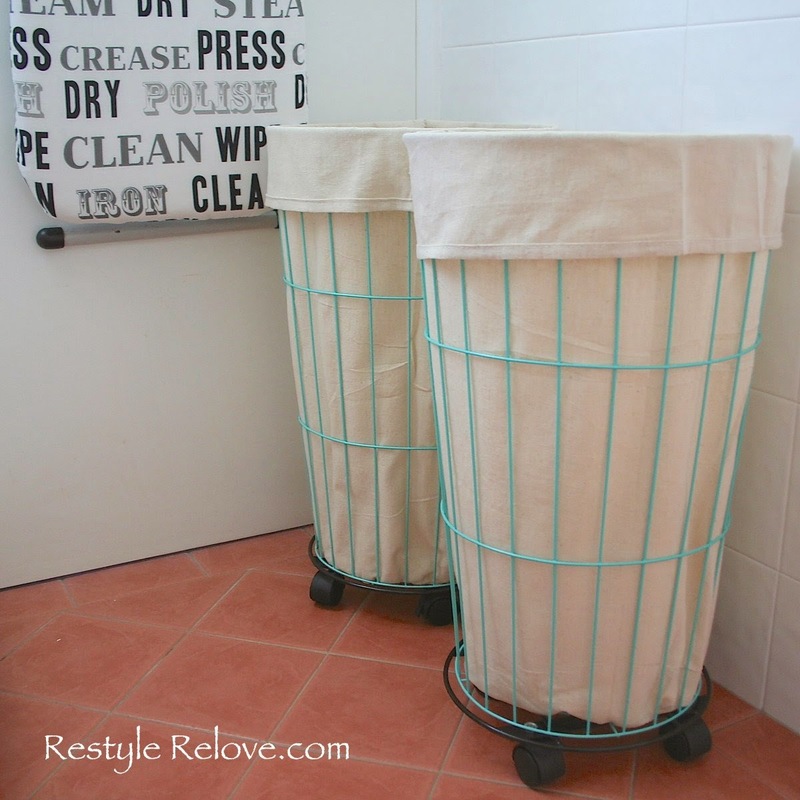 Julie, from Restyle Relove, shared an absolutely adorable DIY laundry hamper project to help mask the not so pretty laundry piles. With a few supplies and her easy to follow step-by-step, you can add a little happy to your day when it comes to doing the laundry. If you give this project a try, I would love to have you share your success once the project is done! Thank you again, that was so sweet. If anyone does decide to make their own laundry baskets, I'd love to see them too. These are so great Julie. Love the color of them too. Shabbilicious Friday Link Party Time!